August 2, 2017. 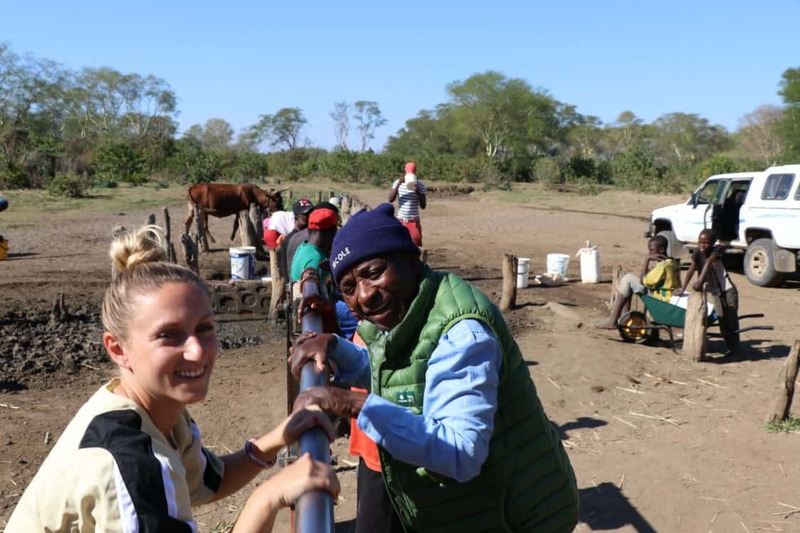 Global Citizen Nicole writes about her experience coaching and camping in Zimbabwe as CAC worked with World Parks, World Cup. In South Africa, a common phrase you hear is, “We’ll make a plan”. Typically meaning the current situation isn’t going as originally planned and there is no clear solution at the moment. In the States, it’s relatable to creating a “plan B” or trying our very best to “go with the flow”. The saying makes me laugh every time I hear it and I hope that I continue to use it when I get home. It makes everything seem OK and less urgent or threatening. In the grand scheme of things, that is true, things will probably work out. Our trip to Zimbabwe from Bennde-Mutale, South Africa was definitely one of these situations. While it only takes about 3 hours to walk from SA to the village we were staying in Zim, it was an 8 to 9 hour journey by car, inclusive of a large dried up river bed where your tires easily get stuck in the sand, intense border patrol on both sides & bumpy unmarked roads where the memory of various trees – that all look identical to me – were our compass. Yet, it was never of any concern, we were in good hands with World Parks, World Cup – and well, we made a plan. We arrived in Chishinya, Zimbabwe a little before dark, where the Moyo family welcomed us after our long journey. Chishinya isn’t on any map, at least that I’ve seen. And I wasn’t originally expecting to go to Zimbabwe when volunteering – or to be sleeping in a tent, camping under the Milky Way, building a fire each night to cook and stay warm, serving as a space to discuss religion, politics, relationships and all of the joys of life with my travel companions and the Moyo’s. In the end, Zim was one of the more rewarding weeks of my time volunteering with CAC. It had the perfect mix of the “expected” pieces of the program – coaching, connecting with people and fun with the kid’s. With the unexpected elements of magic that come along with a true adventure. I live for a good adventure! We experienced elements of life in Zim that we otherwise wouldn’t have. Mr. Moyo and his family were special; they were kind to us, naturally warm and loving, treating us like family from the moment we arrived. It’s a comfort you feel around certain people, an aura or energy they exude that can’t be faked. They were happy, loving people who opened their homes, for which I will be forever grateful. One of my favorite memories is the hat that Mr. Moyo wore every day with “Nicole” stitched into the front. Maybe it was fate that we were to meet. And as he said when we hugged goodbye, “we will all meet one day in heaven”. Whether heaven exists for you, it’s a nice thought and the most realistic setting for our next meeting. It is hard to say goodbye to people after you have become part of their everyday lives, even for only a week. And more so when knowing you won’t be following their Instagram account or sending iMessage photos of your daily life to them. It is unlikely that your worlds will cross again. Regardless, you still hope that they do and the reality is that you will think of them often for some time. Most importantly, it felt that we made lasting connections in Zimbabwe, with coaches, teachers and community leaders who were engaged in the games & the social messages that were pertinent to their communities. 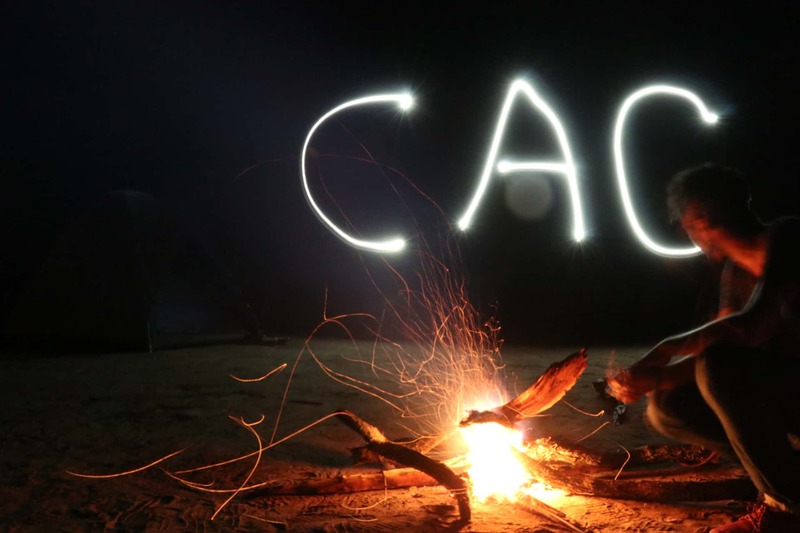 The beauty of the CAC program is the focus on sustainability, providing the participants with the skills and resources to teach and adapt the games as needed in their local environment. I look forward to checking back in on the programs that I volunteered with to see if the same people are involved and the progress that has been made over the next year. The work of CAC is powerful – both in the vision and execution. I am very proud of the time I spent volunteering and of the valuable things I learned. I have the utmost respect for those working in social impact. Thank you for letting me be a small piece of the team for a few weeks – I hope to be involved again soon!